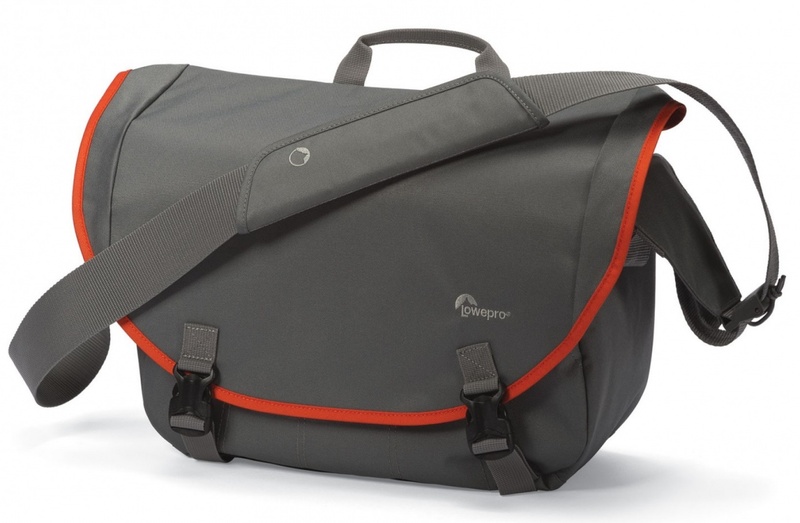 The black Passport Messenger Shoulder Bag from Lowepro will hold your compact system camera or DSLR with kit lens. 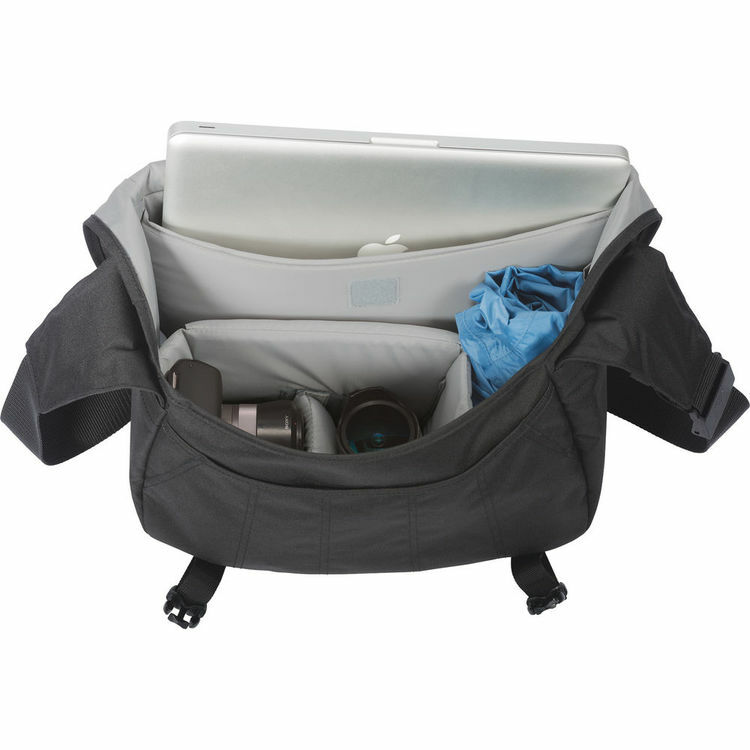 It also features a separate CradleFit 13" laptop/tablet pocket that suspends and protects the device within a separate rear compartment. 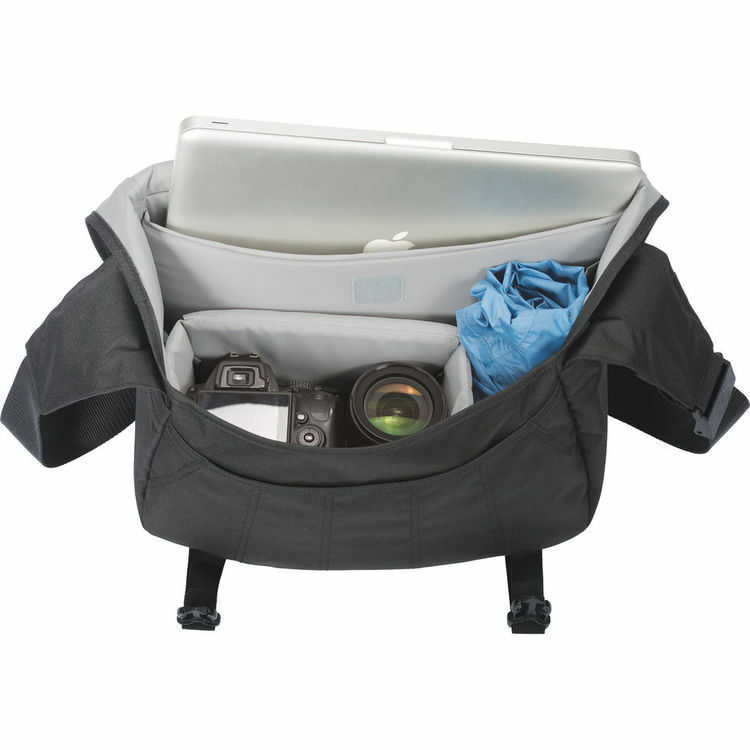 The bag also has room for an extra lens, flash, or Smartphone.